Before batteries and household electricity were used to power clocks, most clocks had to be wound by hand to keep operating. Eight-day clocks were designed so they only had to be wound every eighth day. Many clocks contain a tightly coiled spring that provides the force necessary to move the gears of the clock. 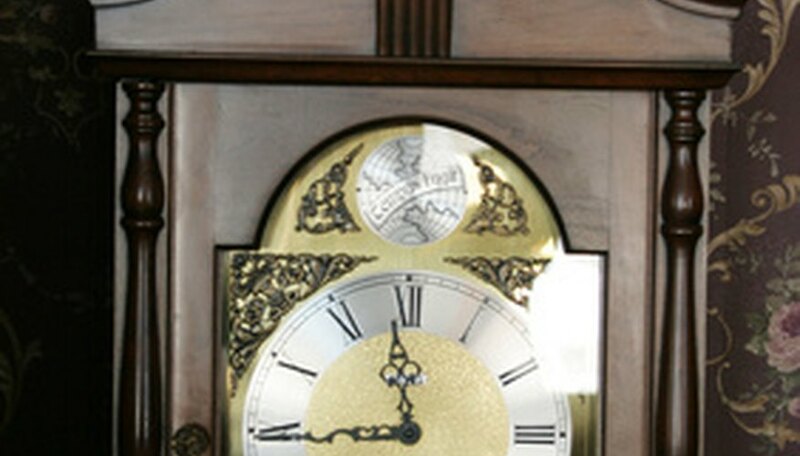 Eventually the spring uncoils to the point where the clock gears no longer move and the clock spring must be "wound" in order to re-tighten it so that the clock will resume operation. The eight-day clock and the 30-hour clock were among the first clocks to begin replacing the traditional weight-driven clocks during the late 1600s. Eight-day clocks continued to be manufactured until modern times, and many traditional clock workshops still produce eight-day models. Many eight-day spring-wound clocks were used on Soviet-era submarines. These clocks were designed to withstand the stresses of submarine life and are considered collector's items today. Eric Summers is a writer and computer professional from Southern Indiana. Summers has been writing for more than 20 years, first as a journalist for his college newspaper, then as a short story writer and blogger for various websites. Summers has several professional certifications, including Comptia Network+ and A+.